Launch of New Social Media! Ever wanted a way to be able to connect easily with your contacts while still being active in your own business? Take a look at this product and I believe you will see something of value. Today is your opportunity to be there at the start of something that is destined to be huge, a real changer in the social media sphere. Who are Send Out Cards? Our unique online greeting card system enables people to act quickly on their promptings and we find joy in providing a tool that has proven to change countless lives time and time again. In less than 60 seconds, you can choose your custom card, add a personal photo, write your heartfelt, inspirational, or cheerful message and click send. We print, stuff, stamp and mail your personalized greeting cards to any postal address anywhere in the world, all for less than the average price of a greeting card at the store. Our gift selection is icing on the cake to this great service and allows you to go the extra mile to bring about another smile. You can also make money with SendOutCards and build your way to financial success. 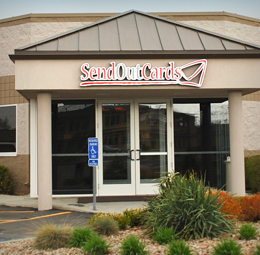 By becoming a SendOutCards Independent Distributor, you can start your own business and make money every time people you bring into the company send greeting cards or gifts with the SendOutCards system. With over 60,000 independent distributors, SendOutCards wants to make it financially possible for people to act on life’s biggest promptings as they come. Try the system today for free! Did you know that healthy people also go to counselling?